Strain: Not Recorded, Family of Murana I (1808). 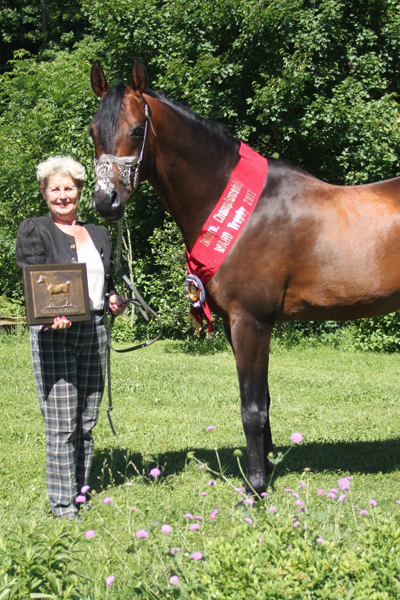 The Austrian Arab Horse Society has awarded their 2017 WAHO Trophy to the stallion Nain, in recognition of his excellent racing results in 17 races over three seasons. Nain started his racing career in Warsaw, Poland at the age of 3, taking part in some of the most competitive Stakes races for his age group. In 4 runs, he won his first race, was 4th in the Witez Stakes, 2nd in the Embargo Stakes and 5th in the Czort Stakes. As a 4 year old he added a few more countries to his travels – the Netherlands, Belgium, France and Germany. 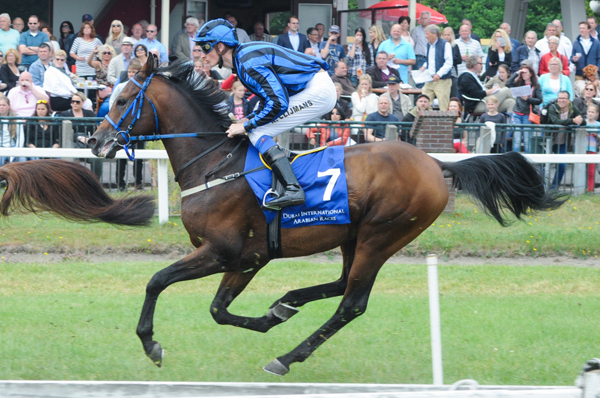 He was placed 8 times in 9 races over distances from 1300m to 2000m, including 2nd in the Duindigt Derby. In 2015, now a 5 year old, he again raced in the Netherlands and Belgium, with 4 more runs, and was 3 times placed including in Group 3 races. Through his dam line he is the product of several generations of breeding by the Chat Stud. His famous Tersk-bred sire, Drug, needs no introduction and his dam Niya, (by Dormane out of the home-bred Nur) whose own racing career was cut short by injury, has proved to be an excellent producer. It is clear that this tall, good-natured and easy to handle stallion has showed his versatility, courage, speed and soundness and he is a worthy recipient of the 2017 WAHO Trophy for Austria.